Keep your friends close and your enemies even closer. Better still, share a cup of sake with them. Enjoy sake, or the drink of your choice, in the sirit of the samurai or ninja with this cool 3-piece set. 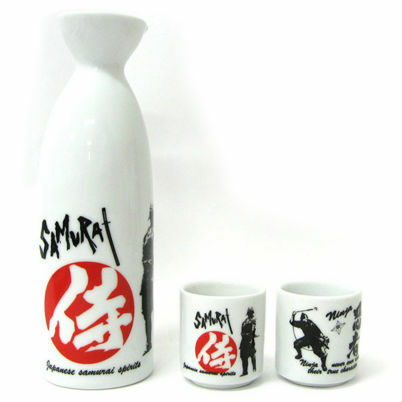 The sake pot features a striking samurai design, while the two cups feature both a samurai and a ninja with English and dramatic kanji. 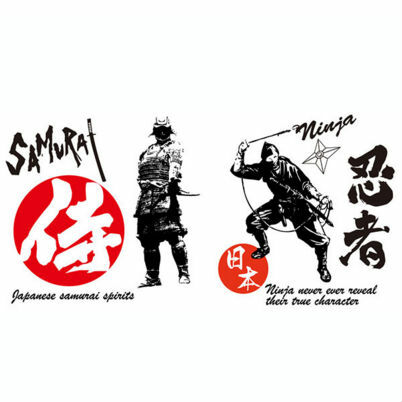 The set comes in a small presentation box, making it an ideal gift for the samurai or ninja in your life.